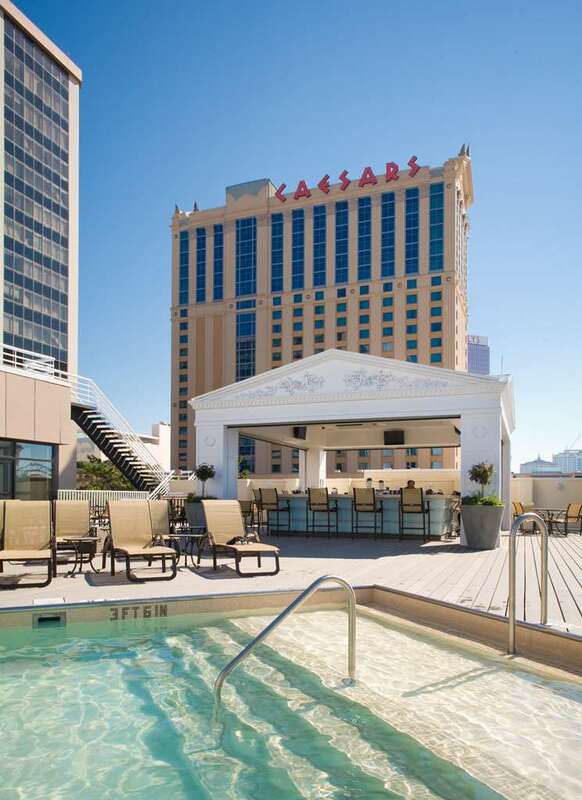 Caesars stands alone as the premier destination on the New Jersey shore and is the gateway to the opulence of ancient Rome. Imported marble and flowing fountains decorate our four story atrium setting a majestic tone that defines every element of this imperial resort. Caesars Atlantic City sports 124720 square foot casino floor space making it one of the largest contiguous gaming areas in all of Atlantic City. That translates to non stop action and non-stop winning. Kwi Restaurant and Noodle Bar: Step into another world and savor the pleasures of trend-forward Asian cuisine. Cafe Roma: Provides relaxed dining with ocean views. Choose from sandwiches piled high with quality meats and cheese light salads fresh seafood or desserts. Morton s The Steakhouse: World renowned for its signature menu and legendary hospitality setting a high standard for fine steakhouse dining. Neros Grill: Offers oceanside dining in a magnificent old world setting. Atlantic Grill: A seafood shack for the uptown set. Locals and visitors alike choose Atlantic Grill for excellent fish a killer raw bar fresh sushi and signature service from knowledgeable staff members who are always fully engaged in your good time. Souzai Sushi and Sake: A premier sushi restaurant featuring a wide variety of traditional menu items. Come early...stay late. Souzai offers full unobstructed vistas of the ocean beach and downtown Atlantic City.